The relationship between time and money has defined our working lives. Traditionally most of us have exchanged one for the other in an often-unsatisfactory ratio. It’s a bargain we’ve had to make with a system geared towards an economic model that’s seriously showing its age. In the digital world however time is not money and that is a bigger revolution than any we’ve yet seen. The agricultural and industrial revolutions were huge but the digital revolution dwarves them. In the pre-digital world, long before we enter employment we start exchanging our time for potential future earning power. We go to school from the age of 5 to 16 or 17. Hopefully in that time we decide what we want to do with the rest of our lives and how we will earn our living. Then we exchange more time for more focussed education – college or University – aimed at getting us into the position to exchange our time for money. At this point we are on a set course. All we can do is bargain with employers over what they will pay us for an hour, a day, a week, month or year of our time. This is based on what all this education has made us worth. There are lots of factors, which limit what that amount can be: Age, experience, the current state of the economy, demand, politics, and personality to name a few. In the main we settle for less than could finance our ideal lives. Even if we choose self employment things are much the same. The digital revolution has brought even more disruption to that working model. Technology, automation and artificial intelligence are rapidly doing more and more of the work that used to require humans – just as machinery did in the agricultural and industrial revolutions. But now this extends far beyond manual work to clerical, administrative and even highly skilled work. An education and economic system built around exchanging time for money just doesn’t work in a digital world. Why spend all those years preparing for jobs and careers in industries that might not be around for much longer? We need a more fit for purpose education. So how has the digital revolution changed the relationship between time and money? To answer that lets define the digital revolution as the Internet – that’s where it started after all – and look at how generating income online breaks that cycle. Most of us now go to the internet for a lot of our needs. We go there for information and to research and buy things. That in itself offers huge convenience and saves us a ton of time. The internet is never closed and has no geographic barriers. To the Internet time is irrelevant. The content we find when we do research around products and services we are interested in is evergreen. We don’t need to be in a specific place to do it or to buy stuff and we can do it at any time of the day or night. If you run an internet business and are selling goods and services it follows that you can create the content that leads to them: Blogs, articles, videos, social media posts, online ads, whenever you want. The process that leads to sales, delivery and support can be completely automated with no further action required. You don’t have to be working – or even awake – for it to work. Hopefully you can see that in this scenario time and money are completely separate. It gets better too. In the old world you can’t easily change the balance of time vs money. All you can do is exchange more time and that has limits. You can work hard and maybe earn a little more through promotion or overtime but you can’t duplicate yourself. With an online business you effectively can. 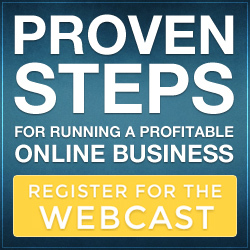 You can scale up a single online business or create multiple businesses with little extra work. It’s basically a cut and paste system. Marketing on the Internet is highly efficient since everything can be tracked and analysed to the nth degree. There is no – place an ad and hope for the best – its laser targeted. Where our old system falls down again is on the education side of things. As described, the digital economy is fast moving. It won’t wait for a 2 or 3-year college or University course to be built and delivered during “working hours”. So we have to turn elsewhere for a style of education that can keep up. It’ll come as no surprise to learn that the Internet is the place to find it. E learning is in fact the fastest growing industry in the world. With a massive and expanding digital skills gap to be filled, Internet entrepreneurs have stepped in. Two organisations stand out in the new field of digital education: Six Figure mentors and Digital Experts Academy. Founded over a decade ago by two hugely successful internet entrepreneurs Stuart Ross and Jay Kubassek, SFM and DEA have gone from strength to strength. Their unique platform provides advanced training and mentorship for individuals and businesses keen to leverage the power of digital. They also provide earn as you learn partnership opportunities – so a traditional income can be replaced over time around full time jobs or traditional businesses. Click on the link below to sign up for their free 7-day video series to learn more.